An article in USA Today by Charisse Jones focuses on how many Business Travelers feel that life on the road is detrimental to their health. While I don't disagree with her reporting, I do have some issues with those who feel that they are unable to eat healthy and exercise while traveling for business. Though both issues are challenging, they aren't impossible to deal with. Several of those interviewed complained about not having the time or the facilities for a daily workout. So be it! But that doesn't mean you can't get in some form of exercise. Too many times I think that if people can't get it just the way they want it, they just decide to forget exercising altogether. I learned a long time ago to make the best of every situation, every day. One of the many reasons I walk rather than run or hang out in gyms, is because I travel a lot and walking is something that is easy to fit in. For example, look at all my posts about walking in airports. Its an opportunity and I make the most of it. Same concept goes with eating. I may not have many healthy choices, but I work with what I have and watch how much I eat. The more fattening the meal, the slower I eat in order to fill up quick and leave a good portion of the food on the plate. Nice article, but those who complained the loudest, simply need to change their focus when they do hit the road. Business Travel itself isn't necessarily unhealthy, rather its the choices of those doing the traveling that make the difference. 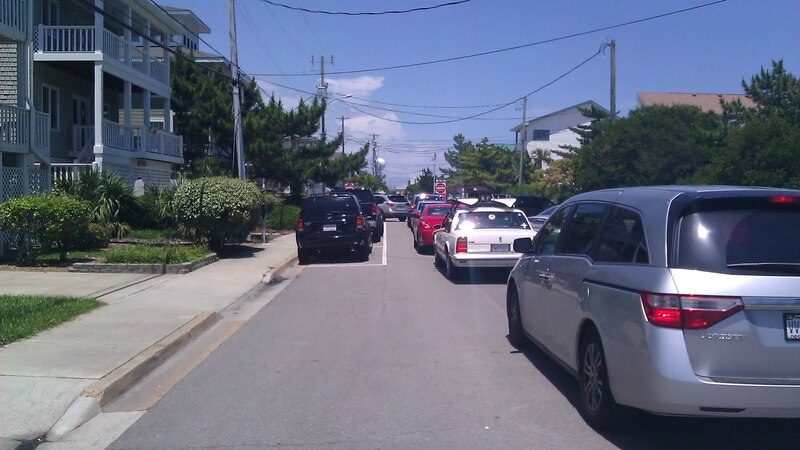 Memorial Day Weekend brings the crowds to Wrightsville Beach, NC, so much so that walking is just about the only choice for getting around. With only 1456 metered parking spots and 86,000 vehicles crossing the drawbridge, its a foregone conclusion that you won't be going anywhere fast if you are on the street. Of course that doesn't stop me from getting in my daily miles on foot. 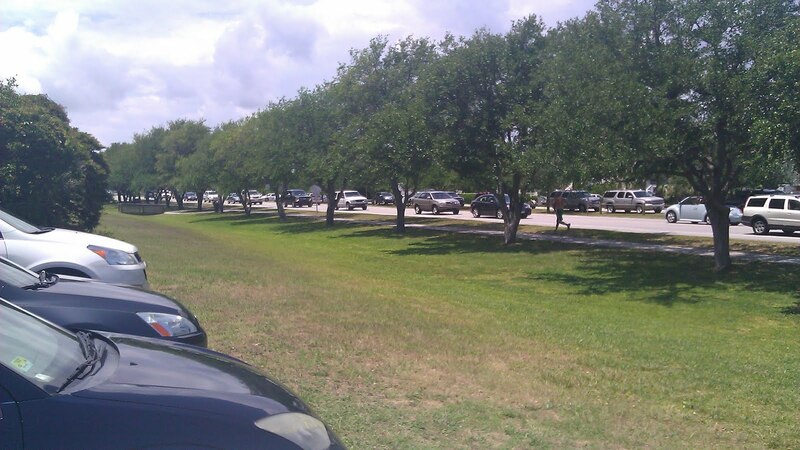 I actually get a kick out of watching the masses of people trying to figure out how to park their car and get over to the beach, where BTW there ain't much space either. The sadder sights are when you see Mom and Dad loaded with coolers, chairs, beach toys, towels and stuff dragging the little ones on a mile-long obstacle course of people, bikes, skateboarders and cars. The children are typically hot and miserable and can;t figure out whats fun about this adventure - the only smart ones in the crowd! There is a lot to be said about being an active walker on a day like today, as I did six miles while watching the circus around me without too much trouble, other than working my way through the masses. In fact, I was moving along much better than any of the cars, as evidenced by the fact that I was weaving in and out of them in the street in order to get past the tourists limping along on the sidewalk, moaning and groaning about the inconvenience of it all. Of course, that's nothing compared to the yelling they'll be doing when they finally make it back to their illegally parked vehicle and find a $50.00 ticket on the windshield, or better yet, an empty spot where they last saw their car. It really is amazing what lengths people will go to to spend a couple of hours at a packed beach on a holiday weekend. I learned a long time ago, you're probably better off to volunteer to work, the holiday, then take the day after Memorial Day off when the beach has returned to normal. 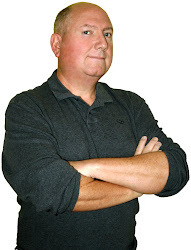 She also delivers some other interesting facts that really define walking as a valid form of exercise, something that I already know based on my 70 pound weight loss, which helps to reinforce the grand scheme of things to those in the ranks of the doubters. I cringe when I watch people who are grossly out of shape try to take up running on Day 1, only to end up with no Day 2 because of the intense physical pain and discomfort. There is a lot to be said for the old adage "you have to walk before you can run." I encourage everyone to consider walking, especially fast walking over running, because you can do it anywhere, anytime. Yesterday I did a 4.5 mile session in 64 minutes and enjoyed every minute of it. (My grand total for the entire day was 8 miles). Walking works and it's easy to get started - but don't shoot for my numbers, go with what works for you, then build from there. Today I'm headed over to Wrightsville Beach (NC) for a 6 mile walk - drawbridge to south end to Johnny Mercer's Pier and back to the drawbridge. Piece of cake! So there is this guy I used to work with who will remain unnamed in order to protect the guilty and insane. He had a tendency to drink to much on a regular basis, which oddly enough seemed to impair his judgement. In addition it made him bold to the point of being convinced he was invincible in the face of... oncoming cars. Anyway, we were hanging out in downtown Atlanta at the Hard Rock Cafe one evening. He like many others at the table had an inordinate amount of alcohol. As we exited the place, he marched right out the door and straight across the street without hesitating, looking or blinking. Now, if it had been a quiet residential area, this would probably have been OK - but it WASN'T! The next thing I knew there was a cacophony of car horns and screeching tires. In fact, one car went up onto the sidewalk to avoid hitting him. Of course he was oblivious to the whole thing though several cars narrowly missed hitting him - by inches! 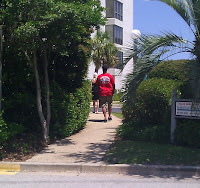 It took us several minutes to catch up to him, as he never slackened his pace in the least bit. When we did we yelled at him "are you insane!" to which he replied, without slowing down or turning around, "don't break stride". His philosophy (though extreme in this situation) was that you set a pace and don't let anything slow you down. Interestingly enough, I have found that this concept is ideal when it comes to walking, especially fast walking. My normal walking speed is between 4.5 mph and 5.0 mph, but I can never start off that fast and have to work my way up over a period of time - typically 10-15 minutes. But once I get there, I find the key to staying at that speed is to NEVER BREAK STRIDE. In fact, I get into a rhythm which turns into an auto-pilot kind of thing, where I don't even have to think about what I am doing, I just keep on truckin almost effortlessly. I transition from getting my body up to speed to taking in my surroundings, engaging in some deep thinking or just enjoying the music coming through my ZUNE. However, if something gets in the way and I have to slow down - BAM - it screws everything up. Fatigue can set it, you start feeling a bit winded and now it takes your full concentration and willpower to get back up to speed. And if you don't do it pretty quick, it may not happen. 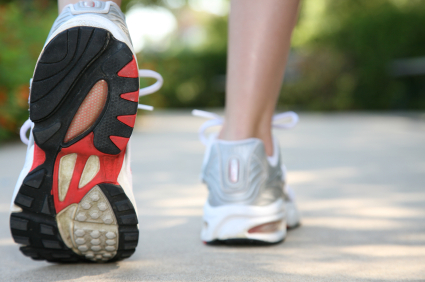 This is an important detail for those of you who have decided to setup a walking regimen. I used to be lucky to go 15 minutes non-stop now I can go on for 90 minutes without much effort. Of course, a big part of it is that I have worked up to that point over time, but I have also learned the power of DON'T BREAK STRIDE. Get your self up to a comfortable speed, focus on finding a smooth rhythm of movement between your stride, body position and arm swing. BTW - Your arms should swing at a natural rate as a result of your walking speed - don't try to artificially swing them as this will throw off your entire rhythm and pace. It will take a while to figure out your ideal pace and body movement, but once you do, walking will be that much easier and a lot more effective. I love San Diego and always look for a reason to head that way. Just spent a couple of days working a Trade Show at their waterfront Convention Center and chose to stay in a downtown hotel that wasn't exactly close, but was still in a great section of town. Though I had a rental car, I soon found that walking was the best way to get around the downtown area. 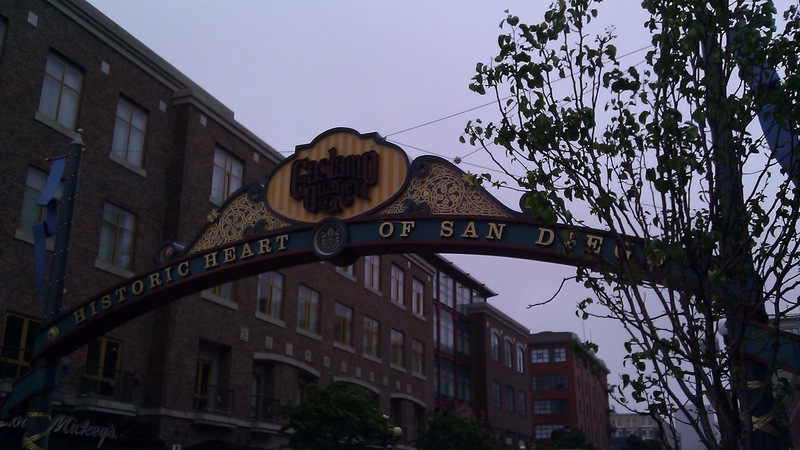 Specifically I was staying on the fringes of the historic Gas Lamp Quarter, which is an awesome place to eat, shop and socialize. Every street has a decent sidewalk and because there are a lot of residential buildings in the area, the landscaping adds a nice pleasant feel when walking, especially early in the morning. With nice breezes blowing in off the harbor, it was never stifling even when surrounded by large buildings. San Diego also has a decent public transportation system called the Trolley which is useful for going long distances like over to Old Town, but for the most part I found that the wait between trains was so long that I could go just about anywhere in the downtown sector faster on foot - and I did! In fact, I managed to put in 5 miles plus everyday, which is critical, as that is my daily minimum goal for walking. Whether you are on business or vacation, plan your trip so you can depend more walking than riding. Not only do you get the great health benefits, but you will see a lot more of the area around you and experience a the place in a totally different way. I used to hate a Red-eye flight - who can sleep crammed in between a mass of strangers? But over the years I have figured out a way to make the best of it and today its not such a pain... except when the departure time is at 12:55am. Considering that most airports shut down all of the services and amenities (restaurants, stores, clubs, bars, etc) at 9pm, that can make for a painfully long wait when dealing with a flight that doesn't depart for almost three more hours. And the Denver International Airport was no exception. So I did what I normally do in an airport - walk - a lot. And then walked some more. For sure, the exercise is a good thing, but in the case of a red-eye flight, wearing yourself out has a lot of merit as well. Terminal B of the Denver airport is just under 1/2 mile from one end to the other, thus its simple to track your efforts as you traverse back and forth. And with the concourses being so wide, its easy to maintain forward momentum, even during the more crowded parts of the day. Don't give in to the temptation to use the moving sidewalks, unless you are late for a flight! Use every tool at your disposal for losing weight and maintaining that weight loss. Success does not come in a pill! It is the result of being vigilant everyday and routinely making choices in how to balance your caloric intake against your energy burn. 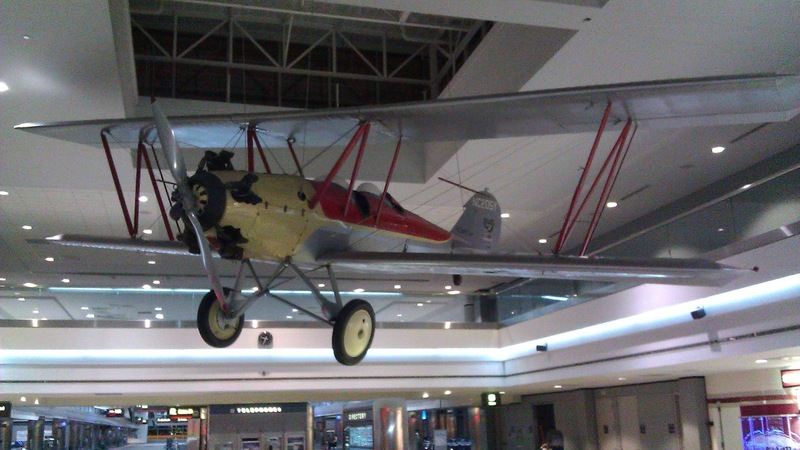 The Denver Airport is just one of hundreds of everyday activities that offer up calorie burning activities. You don't have to go to a gym to burn off the pounds, just look at your surroundings and figure out how to put them to good use.